This is Lucky Jr. eating away at this common milkweed. He is named Lucky Jr. because he is lucky to be alive. I had a monarch caterpillar named Lucky, but he got sick and did not make it. 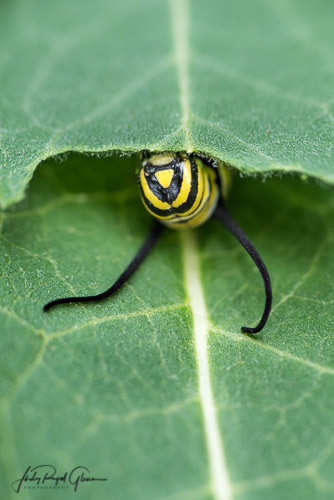 So, I named this one Lucky Jr.
A head count is necessary when swapping out fresh milkweed for the little critters to make sure no one gets left behind. At this time, they were only two centimeters long. One caterpillar was missing and I had no idea where he was. I looked everywhere. I kept a container on my table to put all the old leaves in. There he was on a leaf! 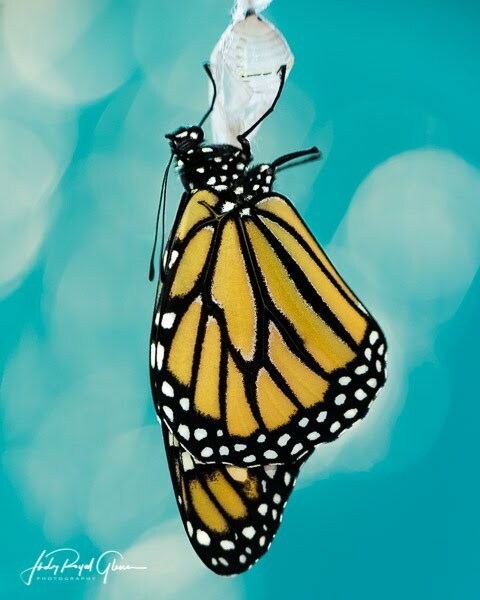 He has his own milkweed plant and butterfly cage so when he becomes a butterfly, I can give him his special name. 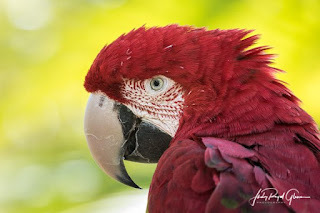 Macaws are beautiful birds. I guess the Lord could not make up His mind, so He made then a beautiful rainbow of colors. 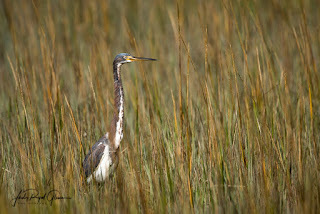 I was raised on St. Simons Island, Georgia and enjoy going back to visit and photographing the birds there. Herons and egrets are a few of my favorite species on the island. 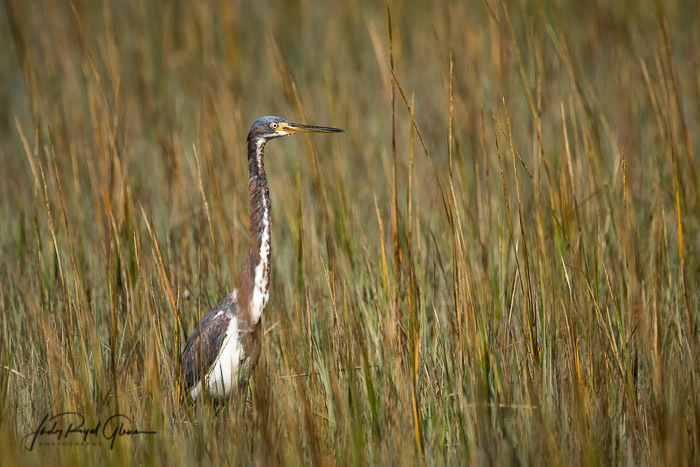 I don’t get the pleasure of photographing the tricolored heron very often. This one is a juvenile. 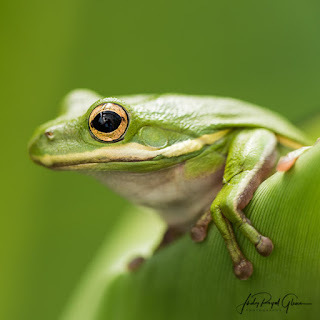 A friend and I enjoyed photographing this green tree frog at the State Botanical Garden of Georgia. He steadied himself on the edge of this leaf. I could tell he was going to jump, but he was kind enough to pose and let us take lots of photographs. Goliath was a very large monarch caterpillar. He was nicknamed Fat Boy by my husband and me. I thought it would be nicer to have a more majestic name, hence the name Goliath. © 2019 Judy Royal Glenn Photography. Images protected under copyright law. All rights reserved.. Awesome Inc. theme. Powered by Blogger.